Krishnapur is a village on the bank of the river Khalishadanga. It is in Nagor Union, Upazila: Borigram, District: Natore. In the dim and distant past this village was proudly rich in genetic resources. However, the farmers were almost exhausted of their precious possession of land races in the wave of pursuing modern agricultural practices. 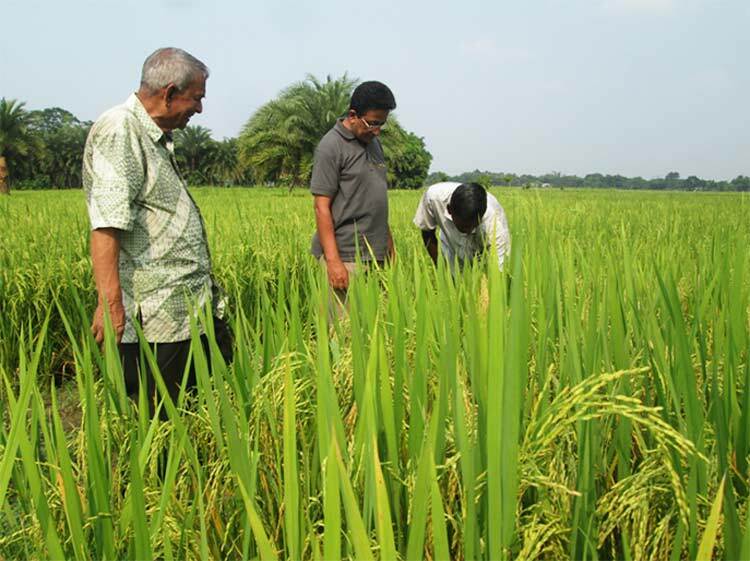 Recently they were oriented to Nayakrishi Andolon (new agricultural movement).They are now striving to regain their lost seed and genetic resources. The farmers in Krishnapur village have been practicing Nayakrishi for last ten years. The genial flow of water in the Khalishadanga river and mild siltation through seasonal flooding have been continuously enriching the land and the biological diversity in the vicinity. 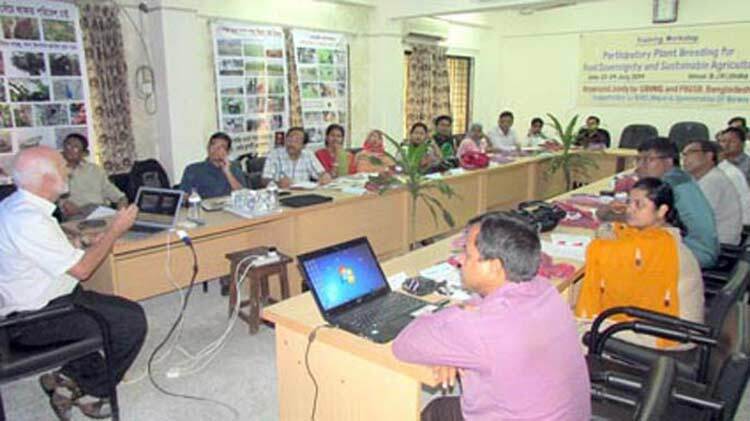 A training workshop on Participatory Plant Breeding (PPB) for food Sovereignty and sustainable Agriculture was jointly organized by UBINIG (Policy research for Development Alternative) and PBGSB (Plant Breeding and Genetics society of Bangladesh) at Bangladesh Jute research Institute (BJRI), Manik Mia Avenue, Dhaka during 22-24 July, 2014.